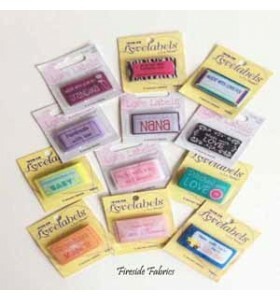 Labels for the Patchwork and Quilter to add to your finished item. will always be remembered and loved. 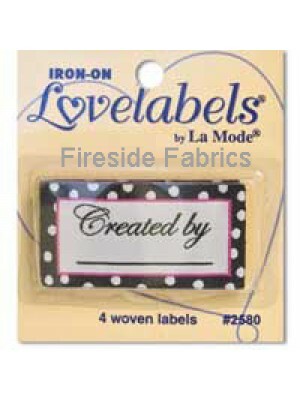 There are 4 labels in this pack with CREATED BY written on the label Each label measures approx 2" x 1" (5cm x 2cm) These labels can be ironed on o.. 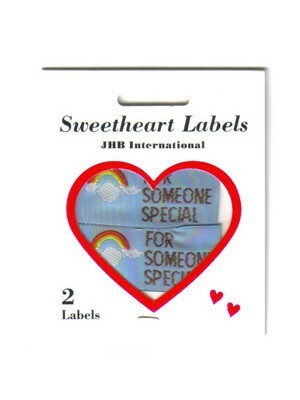 There are 4 labels in this pack with DESIGNED BY written on the label Each label measures approx 2" x 1" (5cm x 2cm) These labels can be ironed on o.. 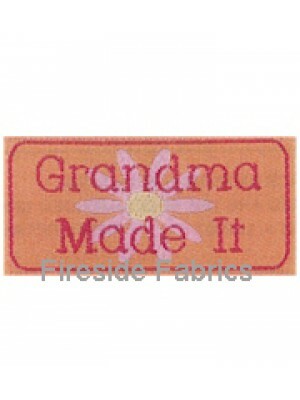 There are 4 labels in the pack with GRANDMA MADE IT on each label Each label measures approx 2" x 1" (5cm x 2cm) These labels can be ironed on or se.. 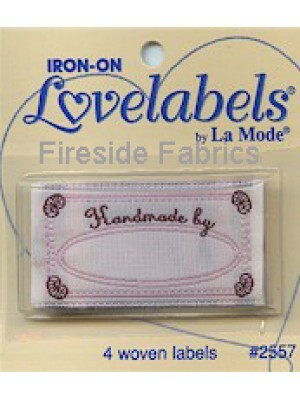 There are 4 labels in this pack with Handmade by written on the label Each label measures approx 2" x 1" (5cm x 2cm) These labels can be ironed on o.. 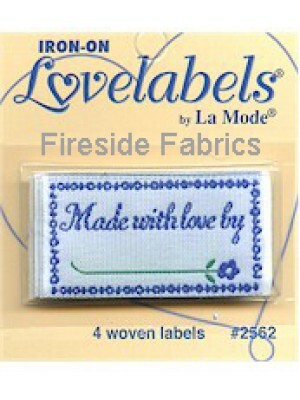 There are 4 labels in this pack with Handmade with Love written on them Each label measures approx 2" x 1" (5cm x 2cm) These labels can be ironed on.. 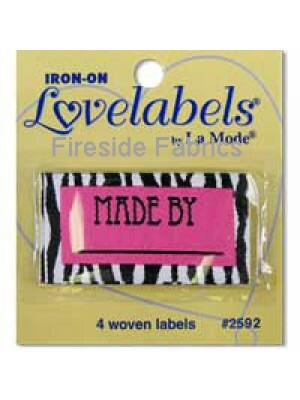 There are 4 labels in this pack with Made By written on the label Each label measures approx 2" x 1" (5cm x 2cm) These labels can be ironed on or se.. 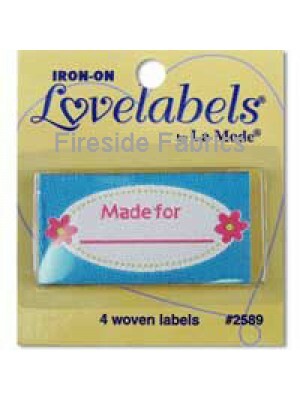 There are 4 labels in this pack with MADE FOR written on the label Each label measures approx 2" x 1" (5cm x 2cm) These labels can be ironed on or s.. 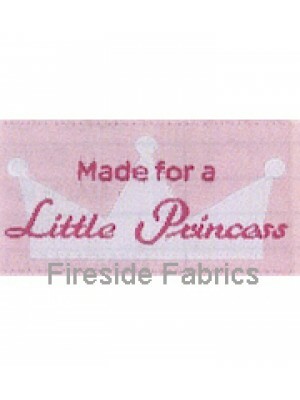 There are 4 labels in this pack with Made for a Little Princess written on the label Each label measures approx 2" x 1" (5cm x 2cm) These labels can.. 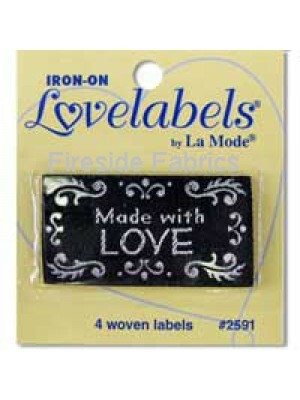 There are 4 labels in this pack with Made with love on the black label Each label measures approx 2" x 1" (5cm x 2cm) These labels can be ironed on .. 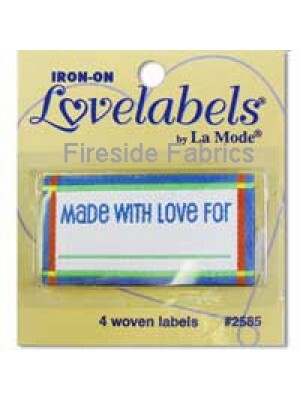 There are 4 labels in this pack with Made with love by written on the label Each label measures approx 2" x 1" (5cm x 2cm) These labels can be irone.. 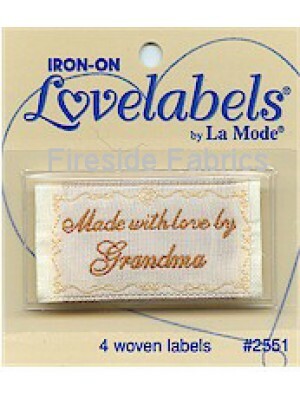 There are 4 labels in this pack with MADE WITH LOVE BY GRANDMA written on the label Each label measures approx 2" x 1" (5cm x 2cm) These labels .. 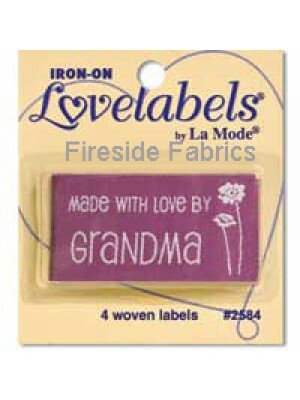 There are 4 labels in this pack with MADE WITH LOVE BY GRANDMA written on the label with a flower Each label measures approx 2" x 1" (5cm x 2cm) The.. 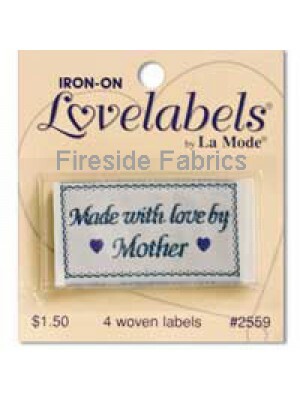 There are 4 labels in this pack with MADE WITH LOVE BY MOTHER written on the label Each label measures approx 2" x 1" (5cm x 2cm) These labels can b.. 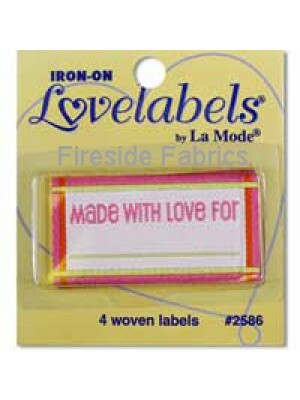 There are 4 labels in this pack with MADE WITH LOVE BY NANA written on the label Each label measures approx 2" x 1" (5cm x 2cm) These labels can be .. 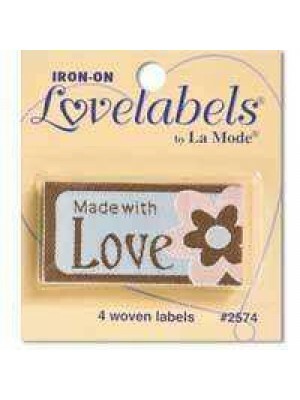 There are 4 labels in this pack with Made with love For written on the label Each label measures approx 2" x 1" (5cm x 2cm) These labels can be iron.. 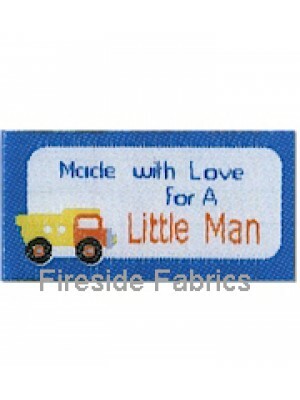 There are 4 labels in this pack with Made with Love For A Little Man written on the label Each label measures approx 2" x 1" (5cm x 2cm) These label.. 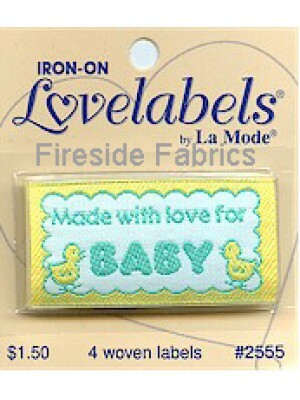 There are 4 labels in this pack with MADE WITH LOVE FOR BABY on the label Each label measures approx 2" x 1" (5cm x 2cm) These labels can be ironed .. 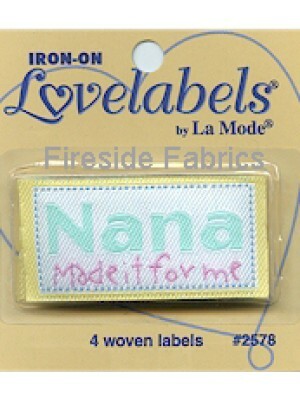 There are 4 labels in this pack with Nana made it for me on the label Each label measures approx 2" x 1" (5cm x 2cm) These labels can be ironed on o.. 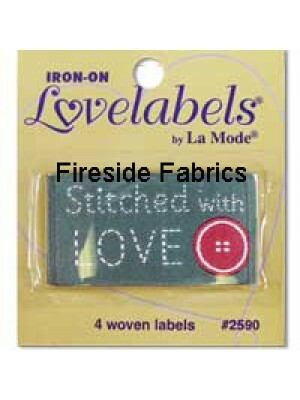 There are 4 labels in this pack with Stitched with love on the label Each label measures approx 2" x 1" (5cm x 2cm) These labels can be ironed on or.. 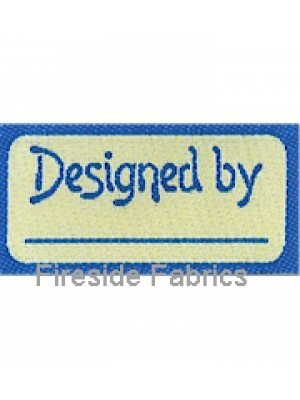 There are 2 Quilters Labels approx 1" x 2 3/4" (3cm x 7cm) .. 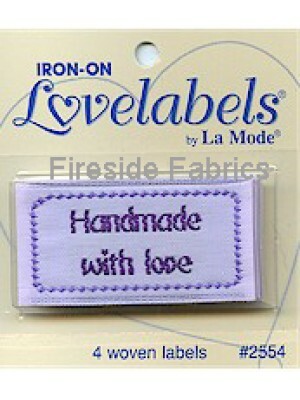 There are 4 labels in this pack with Handmade with love on the label Each label measures approx 2" x 1" (5cm x 2cm) These labels can be ironed .. 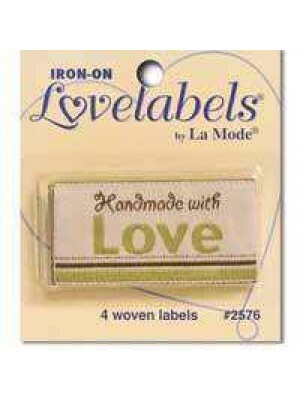 There are 4 labels in this pack with Made with love on the label Each label measures approx 2" x 1" (5cm x 2cm) These labels can be ironed on o..